MultiBrief: What is the origin of Nurses Week? What is the origin of Nurses Week? National Nurses Day became Nurses Week in 1990, 25 years ago. Each year, Nurses Week begins on May 6 and runs through May 12, Florence Nightingale's birthday. This is a week where the worker bees of the healthcare world get some time in the spotlight. Many nurses look forward to the week of gifts, praises and a reminder of the greatness of nursing. Healthcare organizations typically use this time to showcase the shining stars in their organizations by honoring them with awards. This is often the time scholarships are chosen and awarded, demonstrating the commitment to the future of nursing. But how did all this celebrating actually originate? In 1953, Dorothy Sutherland, an official at the U.S. Department of Health, Education and Welfare, remarked to President Dwight Eisenhower that "Nurses Day" should be proclaimed the following year in October. Although the proclamation was never fulfilled, National Nurses Week was observed October 11-16, 1954. This marked the 100th anniversary of Florence Nightingale’s mission to Crimea. Her contributions during the Crimean War became the catalyst for her movement for sanitary conditions in the care of wounded soldiers. Her experiences advocacy of sanitary living conditions and her concepts were memorialized in her "Notes on Nursing," published in 1859. They are still are considered cornerstones in infection control. She went on to found the first official nurses' training program and has affectionately been known as the founder of modern nursing. Although a bill for a nurses' week was introduced to Congress in 1955, no further actions were taken as they ceased the practice to recognize national weeks of any kinds. Another attempt in the United States was made in 1972 for a presidential proclamation. Regrettably, it did not occur. However, in January 1974, the International Council of Nurses issued a proclaiming that May 12 would be "International Nurses Day." In response, in February, President Richard Nixon issued a proclamation that a week would be designated by the White House as National Nurses Week. In 1978, New Jersey Gov. Brendon Byrne declared May 6 as Nurses Day. However, it was the spirited advocacy of New Jersey private citizen Edward Scanlan that furthered the recognition of nurses in his state. He promoted the celebration on his own and had the date listed in Chase's Calendar of Annual Events. By 1982, the American Nurses Association's (ANA) Board of Directors formally acknowledged May 6 as "National Nurses Day." The same year, Congress designated it as well, with President Ronald Reagan signing the proclamation. The celebration was extended to a week in 1990. 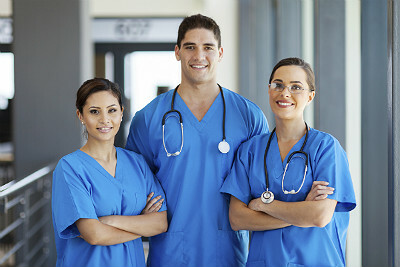 In 1997, the National Student Nurses Association passed a resolution to acknowledge May 8 as National Student Nurses Day. I had the honor of being a senior in nursing school when the first National Student Nurses Day was celebrated in 1998 — who knew we were living history! In the United Kingdom, the celebration of Florence Nightingale's life and work is carried out each year on May 6 at a service held in Westminster Abbey in London. A symbolic lamb is taken from the Florence Nightingale Chapel during the service and escorted by a procession of nurses. The lamp is then passed to the Dean, who places it on the High Altar, signifying the passing of knowledge from one nurse to another. This year marks the 50th anniversary of this beautiful tradition. This year's National Nurses Week theme is "Ethical Practice, Quality Care." This bold motto continues to demonstrate the impact nurses make on healthcare each day. The impact is clear and positive, with the Gallup poll again reporting that nurses have the highest honesty and ethical standards as viewed by Americans in 2014. There are lots of ways to celebrate Nurses Week — either as a nurse or not. If you are a nurse, take the time to celebrate our profession, enjoy the spotlight and accolades. Take time to remember why you went into nursing and reignite that spark. "The American Nurse" documentary will be doing nationwide screenings on May 6 at noon and 7 p.m. — find a screening near you and take a group of your nursing colleagues. Invest in our profession by passing the lamp of knowledge to the next generation of nursing students — they need our encouragement now more then ever. Even if you are not a nurse, with over 3 million nurses in the U.S., you likely know one. Take the time to acknowledge what they do for healthcare each day. Know someone in nursing school, give them some encouragement … they are likely on the hardest journey they have ever encountered. The future is bright for nursing and Nurses Week is a wonderful time to celebrate, so have a happy Nurses Week!